Take Yourself on a Tour! 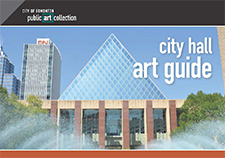 This Self-Guided Art Tour provides you with information about City Hall art and points of interest inside and outside the building. This booklet is also available on the main floor of City Hall at the Citizen and New Arrival Desk.